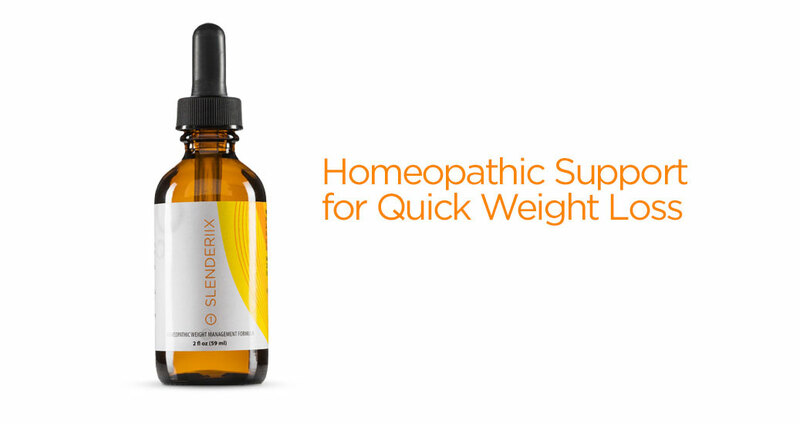 Slenderiix is a homeopathic formula designed to assist in the specific release of visceral fat and subcutaneous fat — fatty deposits located under the surface of the skin within the body. 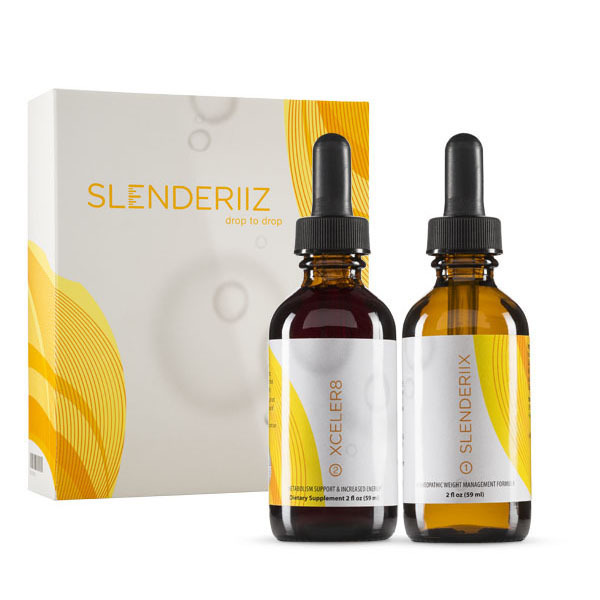 As a hormone-free and pharmacopeia approved product, Slenderiiz aids in reducing these fat stores simultaneously. Slenderiix specifically targets visceral and subcutaneous fats, both of which are adipose tissues. Visceral fat is commonly defined as central obesity and has been linked to a number of degenerative diseases. Subcutaneous fat is located beneath the skin and is composed of adipocytesthat are grouped together in lobules separated by connective tissue. These deposits contribute to the appearance of unsightly cellulite in various places on the body. Slenderiix contains a number of herbs, minerals, and remedies that are used in traditional homeopathy, including ammonium bromatum (NH4Br), avena stativa, calcarea carbonica (CaCO3), graphite, and sulfuricum acidum(H2SO4), among others. They have a favorable influence on nutritive function in the nervous system, supporting impaired nutritional metabolism and helping to improve digestive abnormalities. 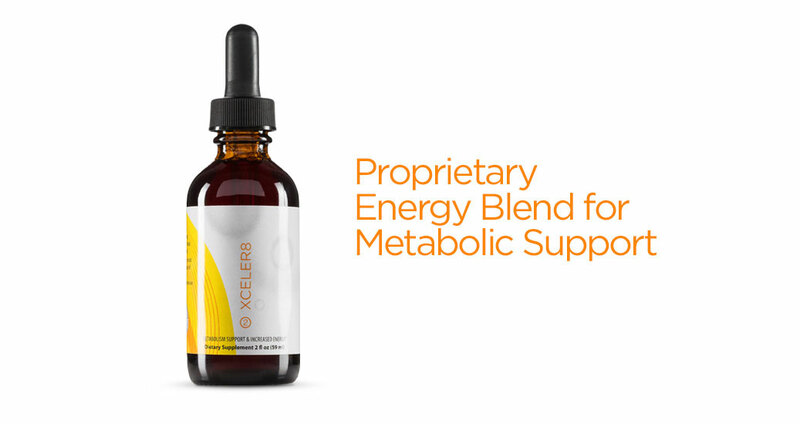 The coenzyme form of vitamin B12, known as methylcobalamin, is the active ingredient used in Xceler8 to provide metabolic stimulation. Vitamin B12 in the methyl donating form is superior in allowing the body to chemically alter substances into useable forms of fuel while neutralizing destructive byproducts. Methylcobalamin is the only form of B12 that effectively disposes of homocysteine while enabling the product of S-adenosyl methionine. The coenzyme biotin, traditionally used in supporting hair, skin, and nails, has also been shown to support healthy blood sugar levels. Furthermore, biotin has also been shown to play a role in metabolic stimulation for digestion. Adaptogenic herbs, such as rhodiola rosea and ashwagandha, have been used in traditional Chinese and Ayurveda medicine for their normalizing effect on physiologic functions and ability to build resilience to chronic stressors. These nontoxic plant-based therapies have been empirically tested for centuries. Rhodiola has been shown to prevent excess release of cortisol and adrenaline. It is also a transport serotonin precursor and aids in the consumption of fatty acid stores during exercise. Ashwagandha is used in both India and China in cases of mental or physical fatigue, it has been used to promote emotional balance. Abnormal fat storage resulting from a suppressed metabolism is a disease of deficiency and coexistent toxicity. The only way to create and sustain a slender body is through a program that simultaneously addresses both nutritional rebalancing and systemic detoxification. When combining Slenderiix with the metabolic stimulator Xceler8, the physiological ability to eliminate excessive amounts of visceral and subcutaneous fat are simultaneously maximized. Fill the dropper with 0.7mL (approximately 15 drops) and squeeze the solution under your tongue. Wait ten seconds and then swallow. Do this three times a day before meals. Make sure you take Slenderiix on an empty stomach and do not eat or drink for at least 10 minutes before or after swallowing the drops. 10 minutes after taking the Slenderiix drops, shake the bottle of Xceler8 and fill the dropper with 1mL of solution. Squeeze it under your tongue and wait 10 seconds before swallowing. Take Xceler8 with breakfast and lunch. Meals can be eaten immediately after taking Xceler8. Click the button below to add the Slenderiiz (Slenderiix & Xceler8) to your wish list.